It has all the things that I love about being on an island...great beaches, a cuisine passed down through generations...and rum! Besides the "Crew Take" podcast episode that I uploaded a short while, I wanted to introduce you to the people of St. Lucia through their food, drinks, family and fun. BIG thanks to Milestones in Sudbury, ON for allowing us to visit and show them off a little while we taped this episode! Sprinkle the fish with the spice seasoning and vinegar, turning to coat. Set aside to marinate for at least 2 hours. When ready to cook, place a little flour on a large plate and coat with fish pieces, shaking off any excess pieces. Heat a little oil in a large frying pan and fry the fish pieces for about 5 minutes until golden brown, then set aside to finish cooking in the sauce. To make the sauce, heat the oil & butter in a large pan and stir-fry the onion for 5 minutes. Add tomatoes, garlic, and thyme, stir well and simmer for 5 minutes. Stir in stock or water, cinnamon and hot pepper. Add the fish pieces and the chopped peppers. Simmer until the fish is cooked through, and the stock has reduced to a thick sauce. Adjust the seasoning with salt. Serve hot, garnish with oregano. 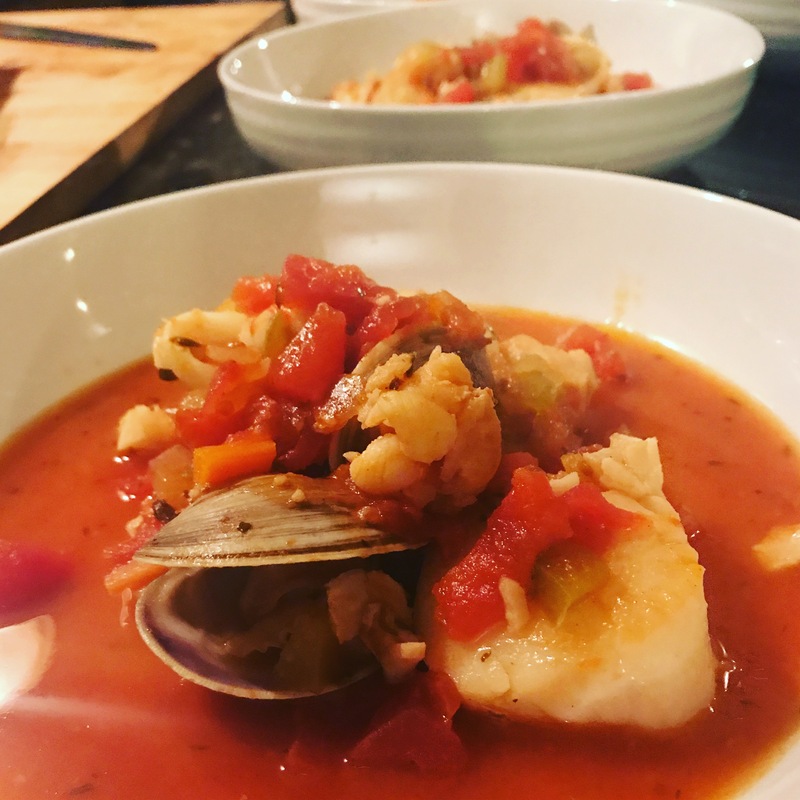 I added other seafood to this stew at home but sautéed or steamed each different type separately and then added it to the broth before serving. Try shrimp, seared scallops, calamari and clams!